The Lumenis® treatments enable your physician to remove black, blue and other dark tattoos, either amateur or professional. The Lumenis® Q-Switch technology enables tailoring of the treatment according to the type of the tattoo, to effectively target the dark pigment and destroy it. 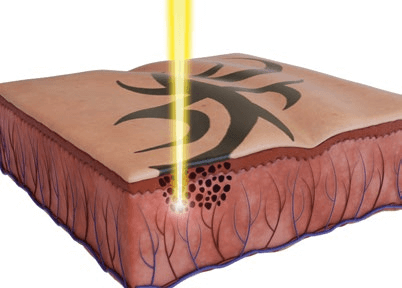 Ultrashort laser pulses target the tattoo ink in the skin and break it into small particles that are naturally dissolved by your body; the surrounding skin is left intact. Lumenis® energy-based treatments are not suitable for everyone and carry some risks. Lumenis® Tattoo Removal solution is not suitable when you have active infections, viral, fungal or bacterial diseases, inflammatory skin conditions or skin cancer.Risks may include: redness, swelling, purpura and petechiae. Be sure to consult with your treatment provider before choosing this treatment. 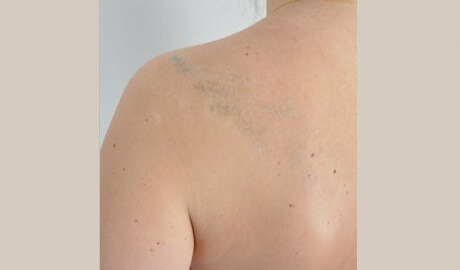 A change in the color intensity of the tattoo may be visible immediately after the first treatment. The number of needed treatments depends on the area of the body, skin color, and the tattoo itself, and can start from 2-3 treatments and up to 10 in some cases. 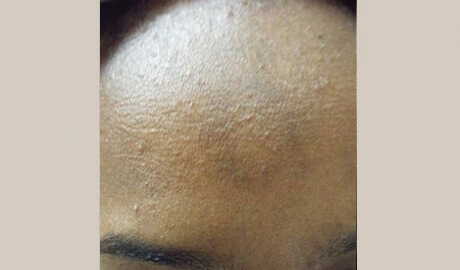 Treatments are typically spaced 6-10 weeks apart. 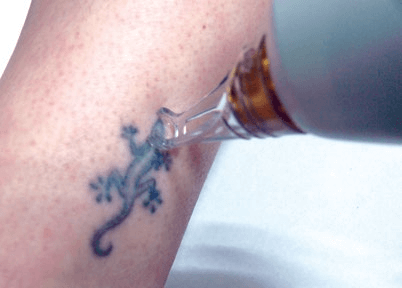 Immediately following treatment, you will see whitish bubbles on the treated tattoo area, accompanied by some mild redness and swelling which will resolve within 24 hours. A thick crust will appear over the treated area and will fall in about 2 weeks. In rare cases, minimal bleeding in the treated area can occur. Fading of the tattoo is gradual and will be noticed in the following weeks. The laser nano-second pulses, shutter the tattoo ink into very small particles, which our bodies can dispense of. Since there is a photo-acustic effect, you can hear popping sounds of the ink particles bursting during treatment. This effect is very selective to the ink, and will not harm the surrounding skin. Before treatment, the doctor should apply a local anesthetic to the treatment area. During treatment, your physician will treat the tattoo by applying ultrashort laser pulses on the tattoo area. 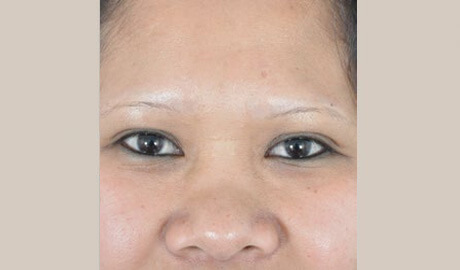 The treatment will take between 15-45 minutes, depending on the size of the tattoo being treated. During the treatment you will feel heat on the tattoo area, and may experience a feeling similar to a band aid being ripped off.